Site by town landfill eyed for multiple uses. 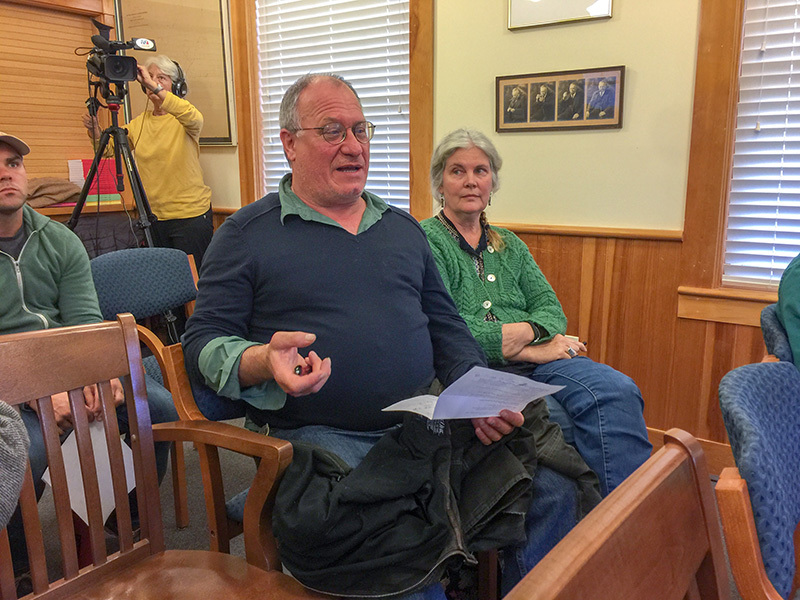 At their meeting Tuesday night, Chilmark selectmen heard complaints from homeowners whose property borders what has become a dump site for deer slain on roadways. Located in the vicinity of the town landfill, the multiple carcasses have drawn rats and created a pervasive stench, neighbors say. Maidoff went on to say he believed that if it was done by someone with experience, deer carcasses could be composted, but that’s not what is happening now. In addition to whoever else dumps deer there, which remained unclear, Maidoff said he has seen large highway trucks dumping dead deer in the pit at night. “Not our highway dept — big yellow trucks,” he said. Town Administrator Tim Carroll said it was the state Highway Dept. “Someone told them they could go in there — not us,” he said. “I’d been made aware that pit existed about a month ago,” selectman Bill Rossi said. “I’ve heard it referred to as the death pit,” chairman Jim Malkin said. “I will volunteer to look into that,” Malkin said. Maidoff later told The Times the pit is “often just bodies just piled on bodies with maggots crawling all over them.” Young kids often gawk at the gore, she added. The selectmen touched upon the “pit of death’ as part of a discussion about relocating the shellfish and highway departments on town-owned property by the landfill. Additionally, they debated situating a firefighter training area and storage for commercial fishermen on the same land — approximately eight acres. Selectman Warren Doty noted both the highway and shellfish departments have grown. Doty, a member of the Martha’s Vineyard Fishermen’s Preservation Trust, said the working idea is to build six lots or paddocks for fishermen to use as warehouse space. A four-foot chainlink fence would surround each lot. Oyster farmers not privileged to own shorefront on Quitsa Pond are in especially great need of finding a place to store gear. Also, he said, there have been complaints about too many lobster pots stacked in Menemsha. Shellfish warden Isaiah Scheffer called the storage plan for fishermen a great idea. “I hope we don’t see the chainlink fence from Middle Line Road,” neighbor Clarke Goff said. He suggested screening the chainlink with a wooden fence and instituting a no-cut vegetation perimeter. Maidoff said he was concerned about the potential for toxic materials being stored at a new highway shed. He listed cleaning supplies, gasoline, oil, and salted road sand as possible threats, and wanted to know how those substances would be safeguarded. Maidoff, a Chilmark volunteer firefighter, was also concerned about fire training at the site. He went on to question how often it may be safe, if at all, to use foam in the vicinity of the headwaters of the Tiasquam River. “That’s a very good summary of concerns, and I appreciate all of those concerns,” Doty said. In other business, the selectmen finalized a warrant for a special town meeting to be held at the Chilmark Community Center on Nov. 19 at 7:30 pm. Among the articles are a request for $15,000 “to create a design and layout of municipal uses (Shellfish Department, Highway Department, Fire Department Training Area, & Storage Area for Commercial Fishermen)” on town land discussed earlier in the meeting. Harbormaster Dennis Jason is slated to retire June 30, 2019, the last day of the fiscal year. God forbid there should be lobster pots stacked in Menemsha.